We were up early today because we were supposed to ride the V train. The letter “V” stands for valley, suggesting that the train runs on a route between steep valleys of the mountainous east in Gangwon-do. A one-way trip takes 70 minutes. Actually I wanted to take the O train too but considering that its going to take a whole 9 hours to and fro, we decided to skip it. 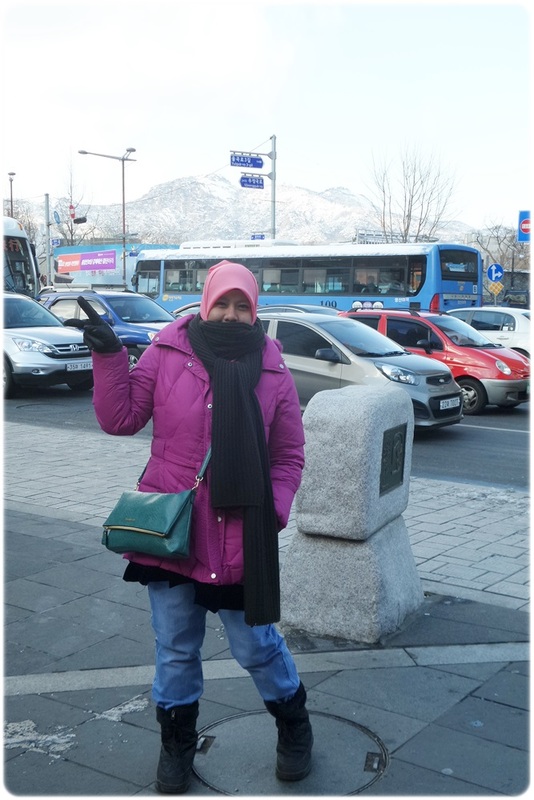 We took the subway all the way to Bucheon station and so we thought the V train would be there but to our dismay we were told by the staff that the V train was at Buncheon, not Bucheon. Aish. 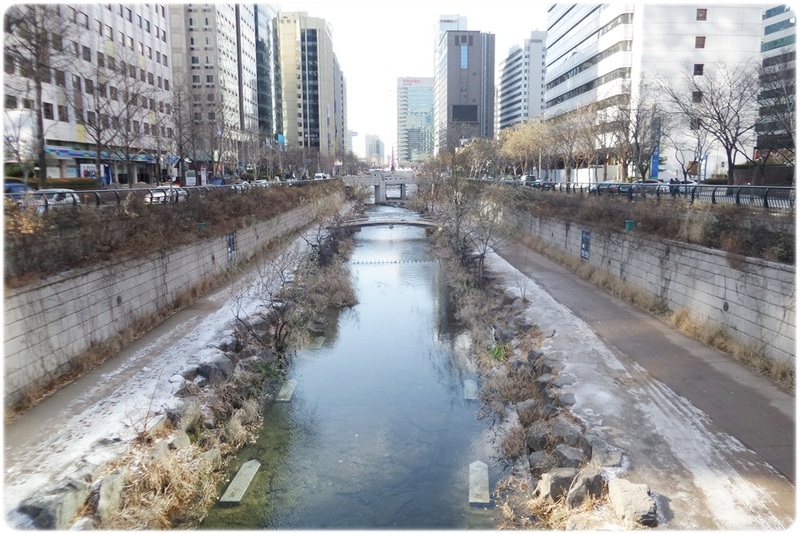 What was more shocking was that, Buncheon was 3 hours away from Seoul! 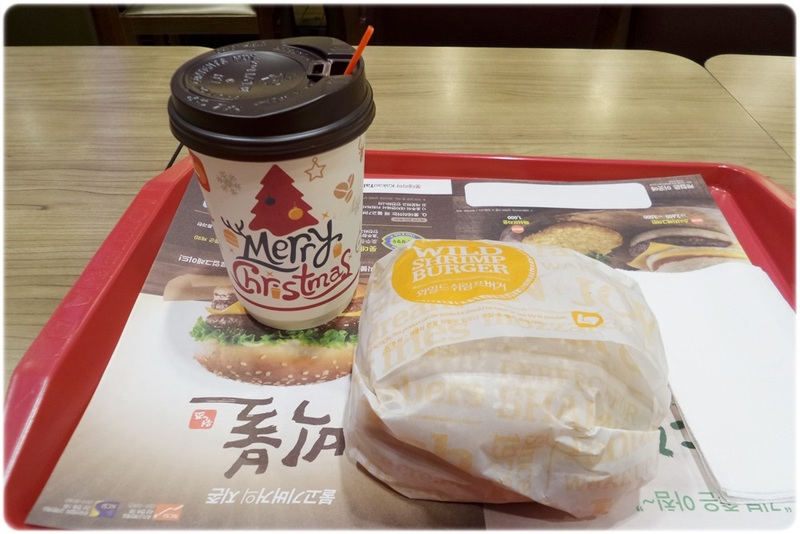 I really thought the train was from Seoul station at first and the ladies at the counter did not inform us. When we bought the ticket yesterday, I felt that the counter ladies were not telling us something. They could have been more polite, sigh. Their service was dissappointing. I felt uneasy. I should have trusted my instinct. Anyway the staff at Bucheon station was helpful enough to inform us that we can get our tickets refunded. It was really such a pity because the train ride would have been really awesome. I should have find out more information but it was in bits and pieces and there was not much information online in English. So we went back to Seoul station and got our tickets refunded. Thankfully it did not take up too much time. Our morning was gone so we decided to rest a little and eat. 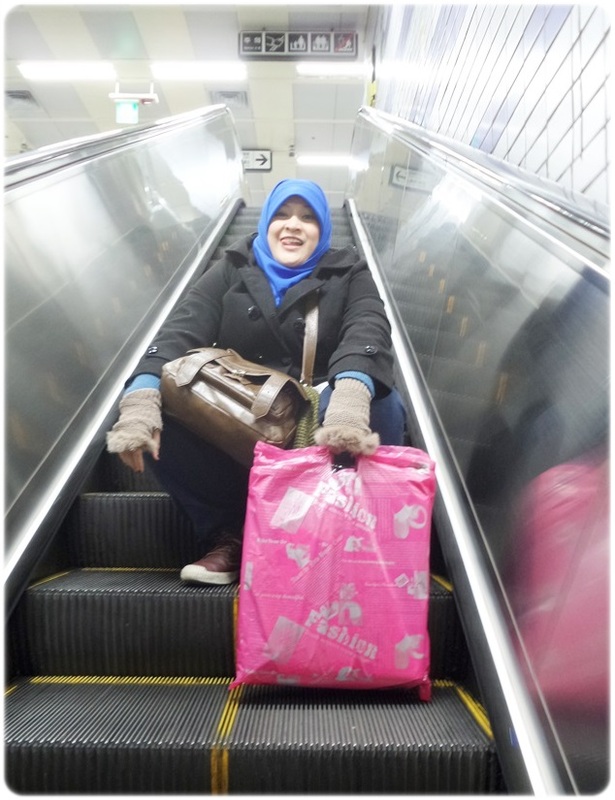 The makcik makcik melancong seems to enjoy the shopping at the train stations. Lol. 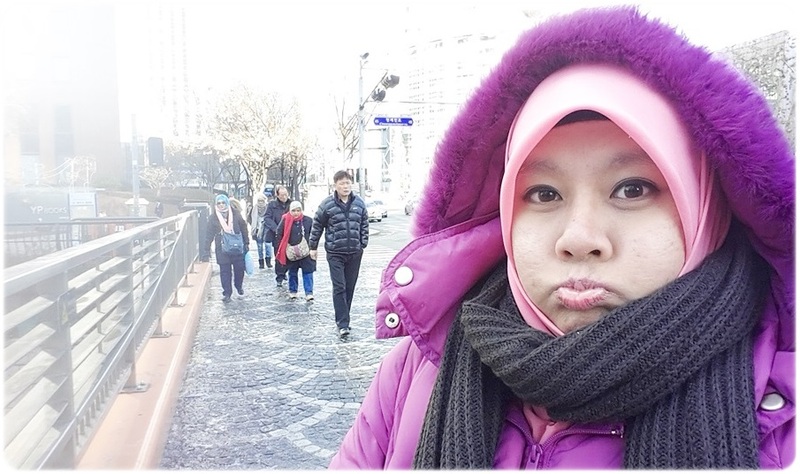 We made our way to Insadong and look what was behind me? Snowy mountains! 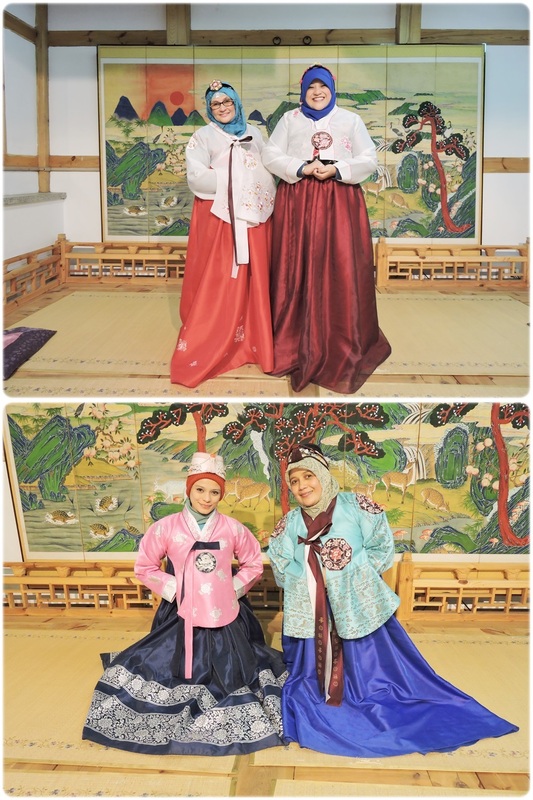 So the plan today, is to to bring the group to wear the traditional korean costume, hanbok. 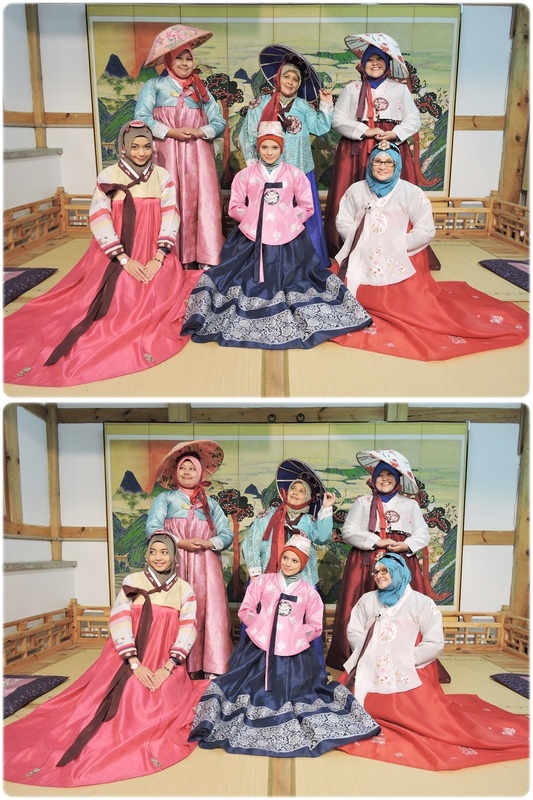 In our last trip, we took our photos wearing hanbok in a photo studio and recently we found out that we can rent the costumes at a much cheaper price in Insadong. 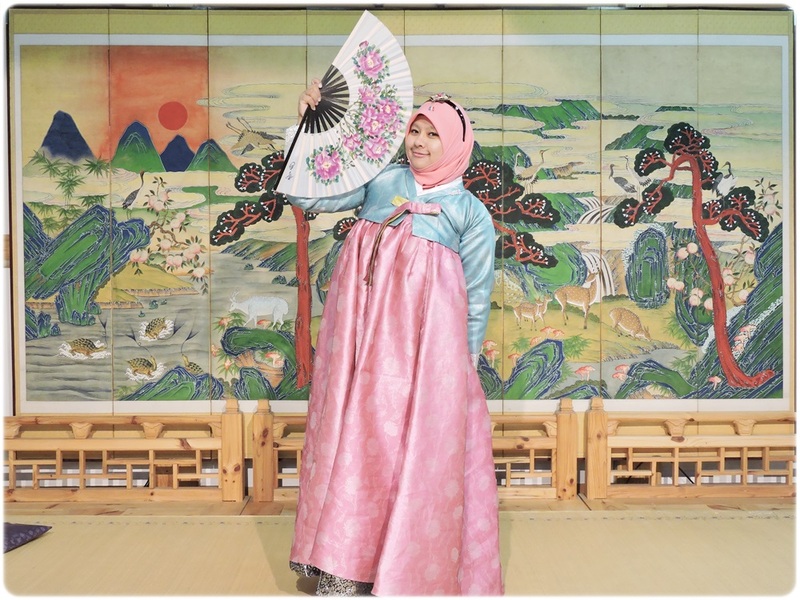 You can rent a hanbok (choose the one you like in your size) at the Insa-dong Tourist Information Center and take an indoor or outdoor photo. The center also has a selection for children. There were a few choices and we had to choose which was suitable for us. However, the bigger your size, the fewer your choices. 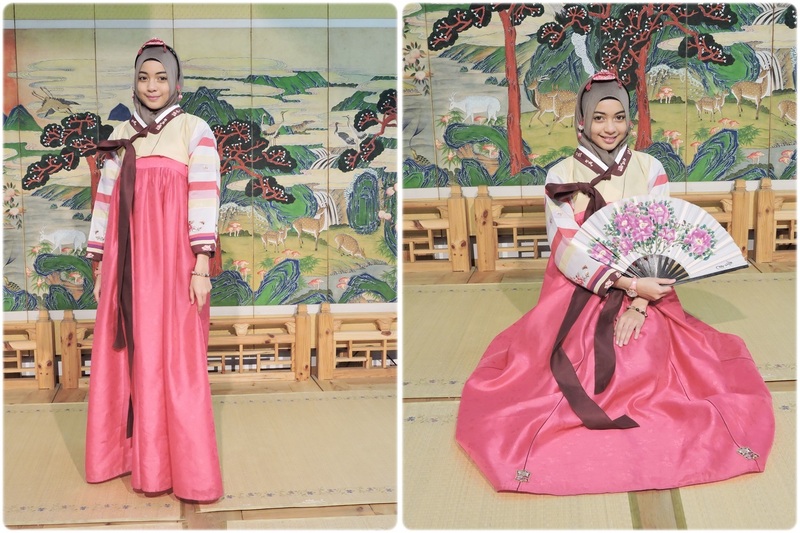 Everyone was excited because the hanbok looks beautiful regardless of the colour and design. With the mums. 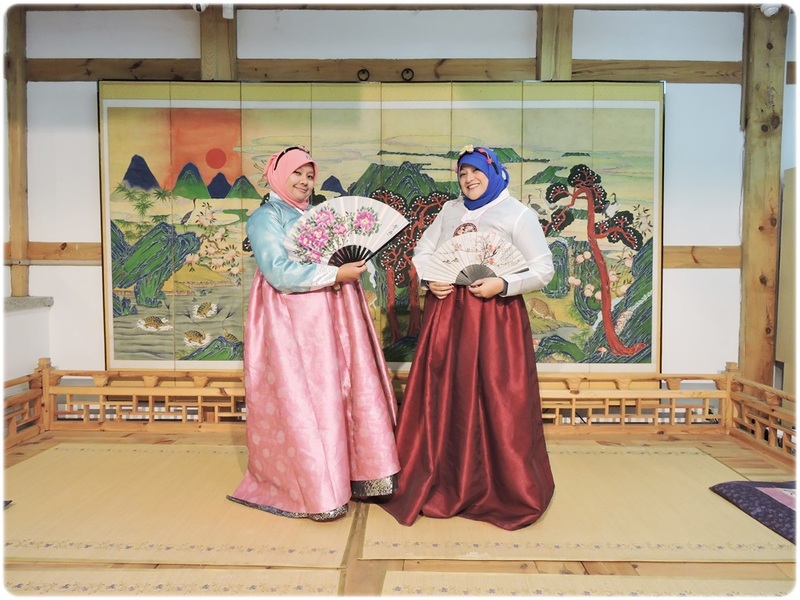 The staff will help you wear the hanbok properly. They even have accessories for your head. Additional props such as fans were also available if you want to use them. With the 2 girls who looked even more gorgeous than usual. I think the staffs were also amused by us. Lol. They helped us to take this group photo. The whole experience there was really enjoyable. 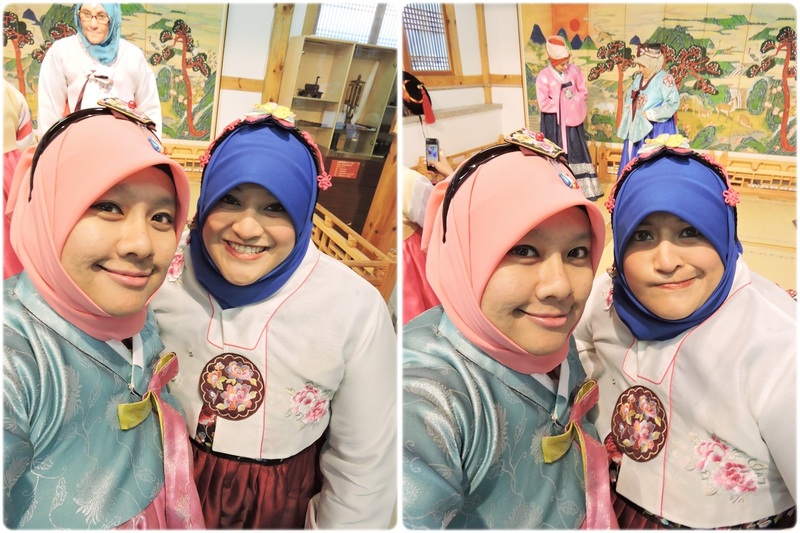 After we were done, we made our way to KTO so that we can do prayers there. There is a musollah there and since we were only a walking distance away, we decided to stop by there for zohor and asar prayers. For the bestie and me, this is our second time here. 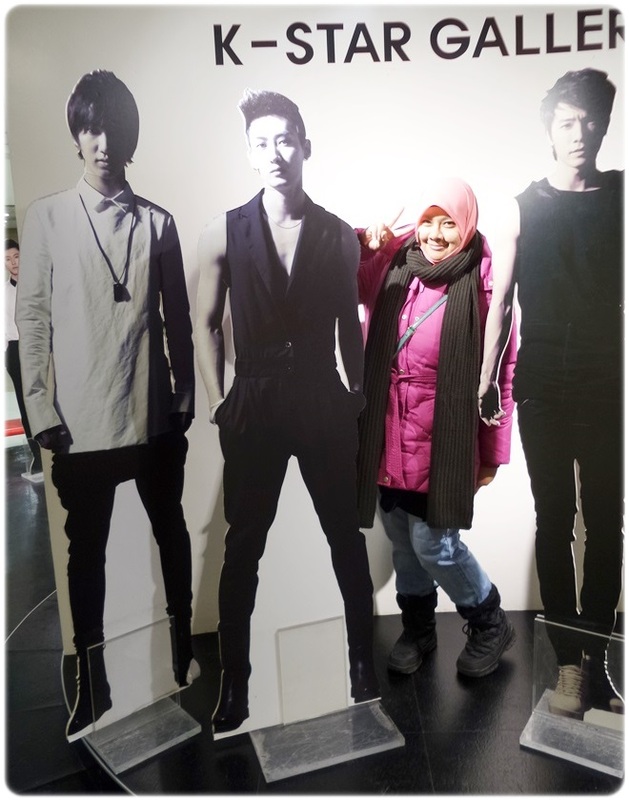 We were here last summer and I remember taking photos with the SJ standees here. So, we wanted to see if the standees were still there. They were. They did not change at all. They boys really looked better now. I mean, these were from many years ago! Lol. 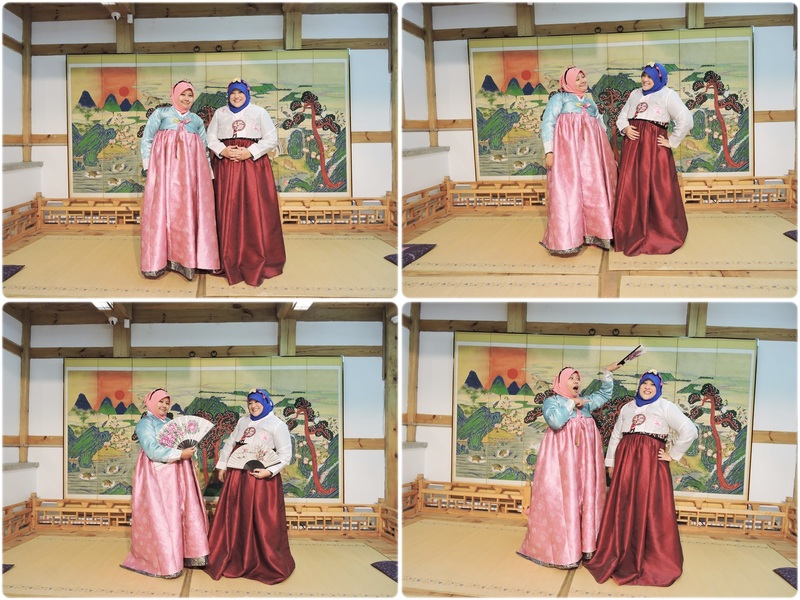 Yup, two delusional fangirls here giggling and taking photos with standees. That’s us. The group had some time to rest in the musollah too. The distance from one place to another is pretty far and there is a lot of walking involved so its pretty tiring. Our ‘tour guide’ was getting tired too. Lol. 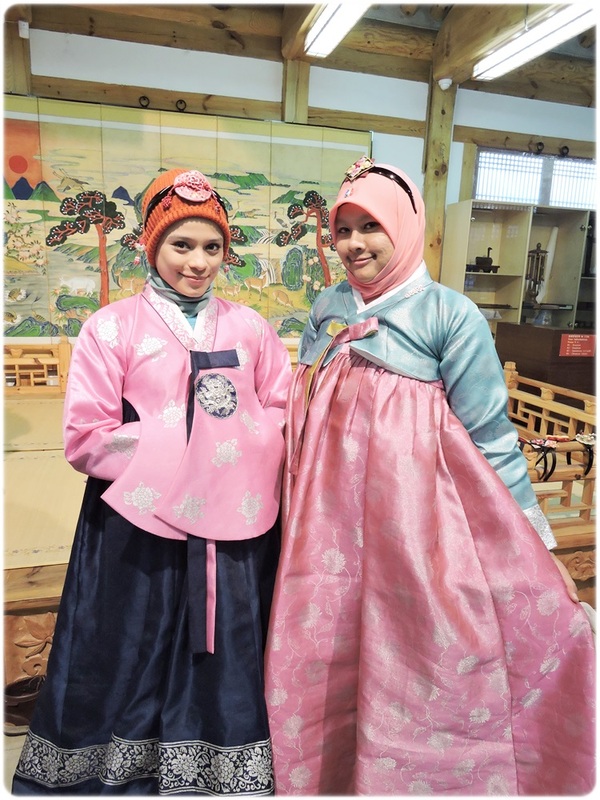 We made our way to Namdaemum market and give ourselves some time to shop there. The bestie and me did not really explored this place the last time. After one look, we thought the clothes and the things here were more suitable for ahjummas. 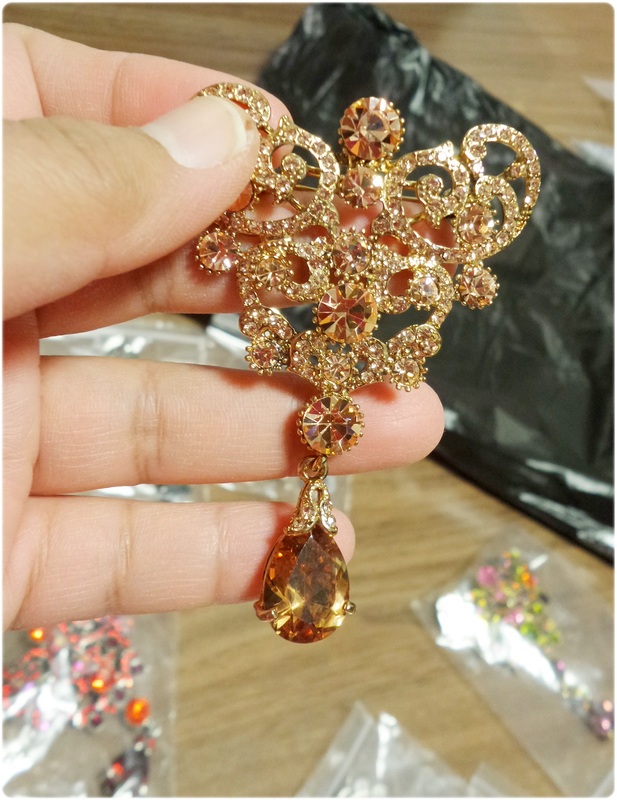 However, there was a place in the building that sells accessories and imagine the excitement from everyone. 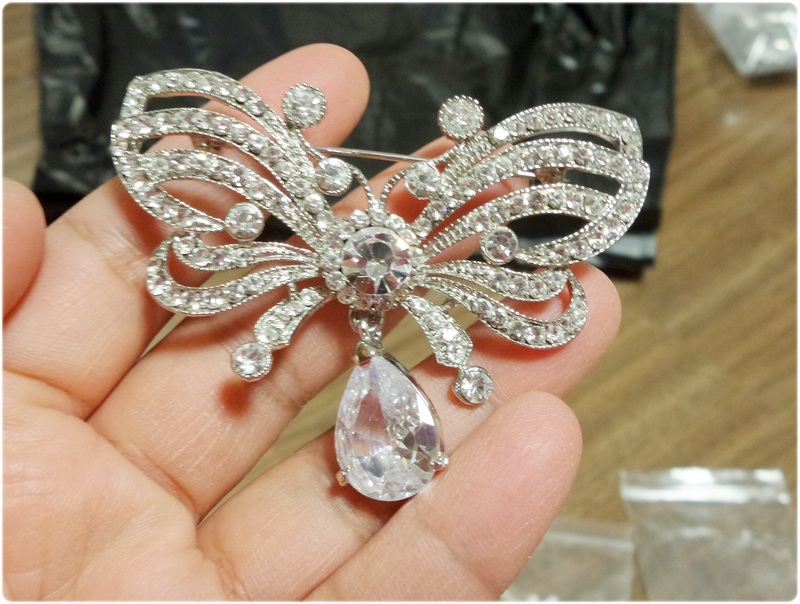 Even me, who was initially uninterested, bought a lot of brooches for my mum and aunties. Everything was sold at wholesale price so it was really cheap. Looking at how much everyone bought, I think I bought the least in the group. 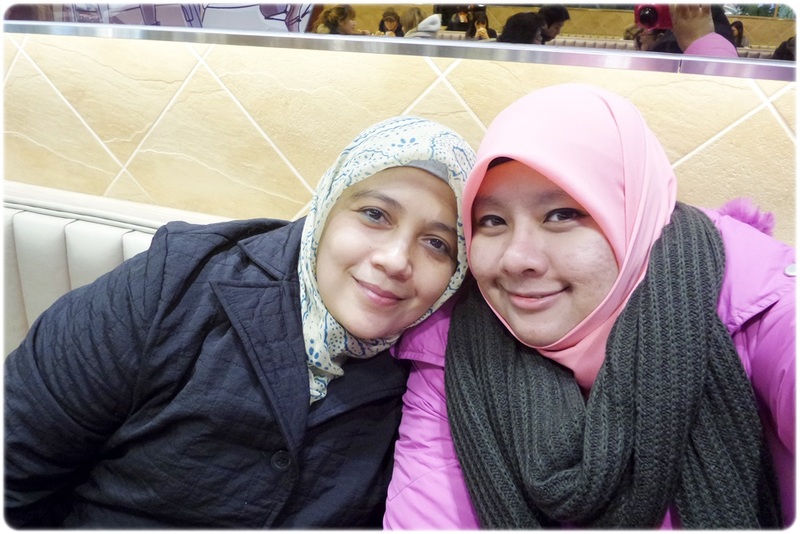 We could not spend too long here because we wanted to go to Myeongdong too. Anyway we were all starving. 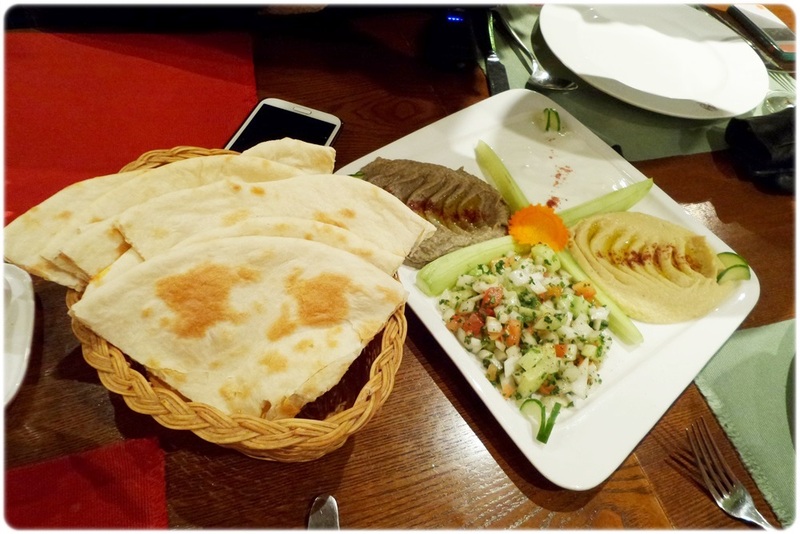 The first thing we do when we arrived in Myeongdong was to look for a restaurant and we so we went to this Arabian restaurant, Saffron, situated at the end of Myeongdong street. 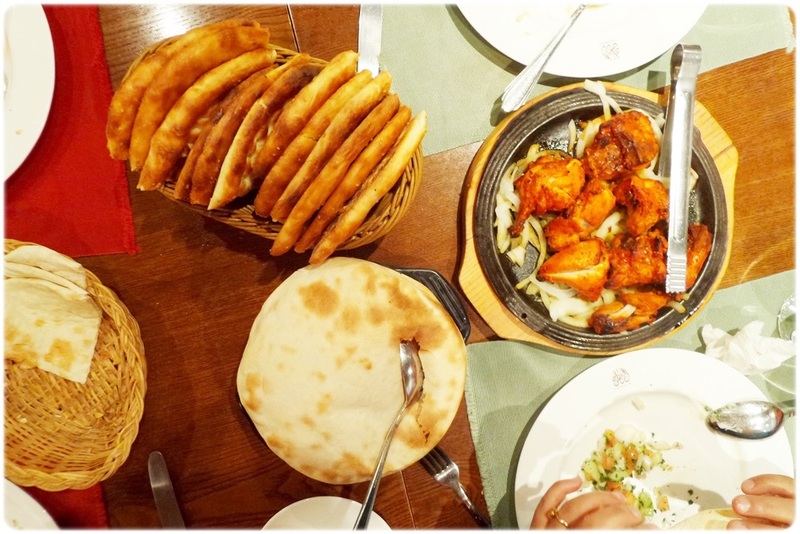 The food was great and it was halal certified but it was pretty expensive. Oh well, it has been a long day and we were exhausted from all the walking. After shopping around for a while, we headed back to rest. Day 10 tomorrow! Yup, I thought you managed to get on the snow flower train….we had such a difficult time communicating to the unfriendly counter staff at Seoul Station. So upset! 😦 but you got your tickets refunded! i didn’t. boohoo.